Enjoy exciting puzzle-solving adventures in a magic kingdom. Break the spell of the evil sorcerer and use your magic skills to disenchant the objects of the kingdom and save its people. With 18 scenes in the Enchanted Kingdom, each with its own exciting story, you'll fill in various mosaics, turning them into more than 150 objects of the magic land. 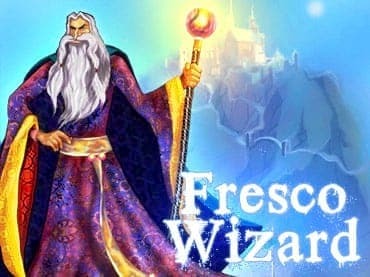 If you have questions about Fresco Wizard game, please contact us using this form.